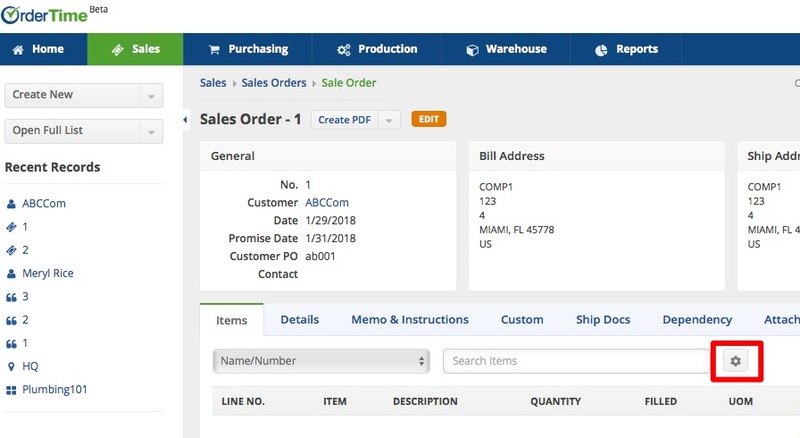 The Filter List option section allows you to filter list results and only view the information that's critical to you, by setting the parameters for what information is shown. To modify your Filter Lists, click on the Gear icon on the any List. Field: Available fields you can filter by will be listed (e.g. Promise Date). Operator: Depending on the Field type of the field selected, the operator is a comparison statement (e.g. Greater Than). Criteria: The third and final section allows you to set the criteria for the filters, which is where you specify one or more values to be used by the operator. Repeat for up to 5 fields. When combining fields the logical joiner is AND meaning all filters must resolve to true in order for the entire statement to be true. 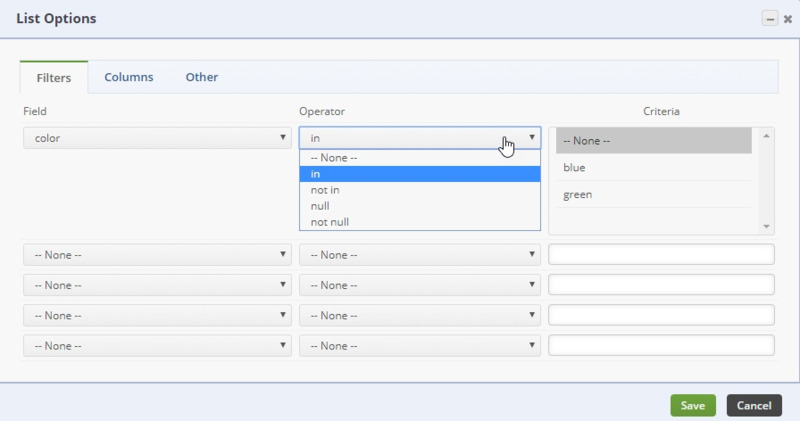 Depending on the Field Type of the field you select the operator and criteria will change. When selecting decimals and integer type fields (e.g. Price, Quantity or Id) the operator will show numerical comparison statements. The criteria will only accept numbers. When using a Date field (e.g. Promise Date), the operator select will show a list of date macros as well as a selection for Custom. 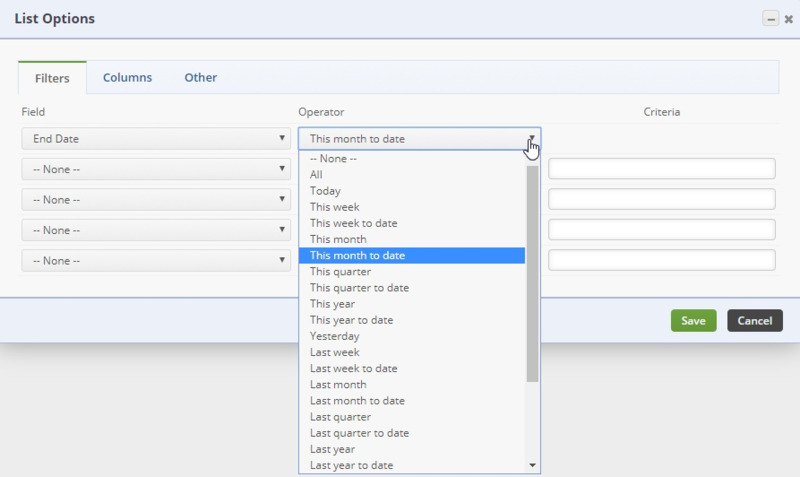 A date micro combines that operator and criteria. When the field is Text select the appropriate operator and enter a value. If you want to find any part of a word or sentence use the like operator. Text searches are case insensitive. When the field is a check box then the only criteria will be True and False. The system will remember your List Filter (on a user by user basis) and show you the filtered list, each time you recall that specific list. To remove the filters, simply click the clear filter icon.